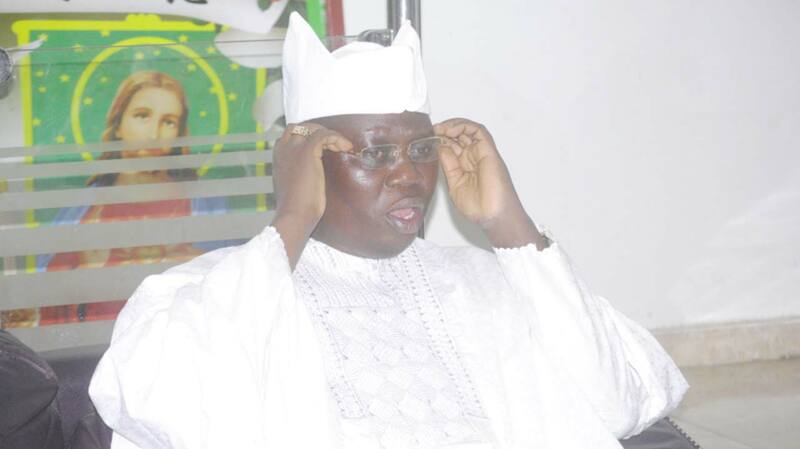 For the National Coordinator of the Oodua Peoples Congress (OPC), Otunba Gani Adams, who makes history as the 15th Are Ona Kakanfo of Yorubaland, his elevation to the one of the most prestigious chieftaincy titles in Yorubaland is a fulfillment of prophesies that he was destined to accomplish greatness in life. Sadly, his mother, who took him away from her town, Arigi Akoko, to Irusu Akoko, both in Ondo State, at the age of five, for the prophecy to come pass, is not alive to witness his son step into the position once occupied by the former premier of the Western Region, Chief Samuel Akintola, and winner of June 12, 1993 presidential election, Bashorun Moshood Abiola. In this interview with The Guardian’s Head of Southwest Bureau, MUYIWA ADEYEMI, Adams recounted his sojourn in life and how destiny placed on him, the leadership role of defending Yoruba interest and promoting its culture and tradition in over 67 countries, where he has launched the Oodua Progressive Union (OPU) and his life as an activist, however, insisting that Are Ona Kakanfo is not for the lily-livered. Did it ever occur to you while growing up that you would reach this stage of prominence in life? I never believed I will get to this stage in life, but what is obvious is that I love my race and very passionate about Yoruba. I love my country and I love being part of justice. I love a situation where I can defend the interest of the oppressed. However, when my mother was alive, she told me that at my birth, there was a problem, as the blood was gushing out from her and did not stop. 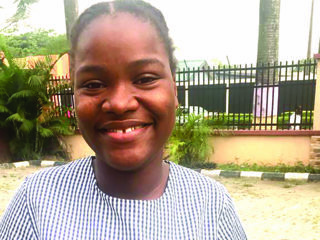 She was taken to a herbalist in Omuo-Ekiti, who told her that this child will attain greatness in life and will be greater than her expectation. My mother told me this story around 1989 and she died in 1993. Again, there was a prophet in our community called Otitokoro, who came to our house in 1975 when I was five years old and said there was a child in the house with a very bright star. He asked my parents to take me out of my community within three days to prevent something bad against me. My mother had to take me out of Arigi-Akoko to Irusu-Akoko to reside with my grandmother. You are known to be very militant, especially with your activities in the OPC, which brought you into collision with the Police and other security agencies. Would you say those things you passed through earned you this prestigious title in Yorubaland? That is the foundation of every struggle all over the world. There is no good struggle that will not pass through a rough stage. If you are genuinely fighting for your people, the state, your oppressors would provoke you and during that turbulent period, you would learn your lesson. You will know your friends and those who love your race and identify with the cause you are fighting for. All over the world, that is the history. If you read Long Walk to Freedom by Nelson Mandela, you would see how the African National Congress (ANC) was formed in 1904 and the stage of the party between 1912 and 1950 and the significant changes brought by Mandela, who came into the picture after 1950. While changing the cause, there were crises that led him to prison, and he was in prison for about 27 years without compromising. So, there is no genuine struggle that would not have its rough stage. Besides, if you look at the history of our independence, the colonial masters called our leaders militants. I remember the story of Adegoke Adelabu, popularly known as penkelemesi, who would go to Ikoyi to beat drums to make his points to the colonial masters, thereby making them uncomfortable. So, you don’t get a freedom on a platter of gold. My beginning, you would recall, was part of the struggle, many people that maltreated me then are now my friends, even many journalists that hated me with passion then now write good articles and stories about me. They didn’t understand me before, but now they know my intention and they begin to appreciate it. There is no permanent friend or enemy in life. Your enemy today could be your best friend tomorrow and vice versa. If you don’t have a past, there won’t be a need to write a book about you. At what point did you realise that you have to join the league of freedom fighters? That was in 1993. The annulment of June 12 presidential election won by Bashorun MKO Abiola led me to the struggle. That was the first opportunity I had as a Nigerian to exercise my franchise. After the annulment, I joined the struggle in July through the Campaign for Democracy (CD). That was the period I built my philosophy and ideology. When did the discussion to become Are Ona Kakanfo begin with the Alaafin of Oyo? It started in May last year when I signified my desire to vie for that chieftaincy title. When I first told him, the Imperial Majesty laughed. 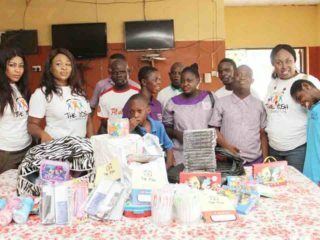 He later acknowledged that I have the spiritual myth and the structure- OPC and Olokun Festival Foundation. He said he had to consult with some prominent Yoruba Obas first and other stakeholders and I said, ‘no problem Kabiyesi.’ He said he had the prerogative to give it to me, but there must be wider consultations, because the title belongs to all Yorubaland. It took him five months to call me back to say he had consulted who is who in Yorubaland and they agreed with him and he gave me a letter of proclamation on October 15, last year. From what you said, you are the one that made the move and applied to become Are Ona Kakanfo of Yorubaland? Yes, I made the move. What does Are Ona Kakanfo mean to you? Are Ona Kakanfo means a lot to Yoruba race. It is a platform to unify Yoruba people and defend our interest on the basis of justice. Nobody becomes Are Ona Kakanfo without being a statesman, starting from former premier of the old Western Region, the late S. L. A. Akintola in 1965 and Abiola in 1988. The office goes beyond sectional aspect of activities; it is a position that you have to look beyond Nigeria, to protect the interest of black people all over the world. This is the position that has been in existence for about 558 years. How many Yoruba communities were in existence at that period? That was the first time they installed Kokoro Igangan of Iwoye. This is the most respected chieftaincy title in Yorubaland. I know that some people did not want to accept me, because the information was filtering to me, and I know that Alaafin had to convince them that even if they did not want to take serious, my involvement in the struggle, what about the promotion of the culture and tradition of Yoruba, which I have practically been involved in. Alaafin acknowledged that I have done well in the promotion of culture without any sponsor and had to go to the extent of telling them the activities of OPU in 79 countries of the world. In the history of that title, I was surprised with the comments and acceptability that followed the proclamation. When Abiola was to be installed as Are Ona Kakanfo, there were hues and cries in the land and litigations. How did you convince the oppositions not to openly opposing your installation? We have to give glory to God. It goes beyond me to say anything about that. All thanks and adoration should go to the Most High. Yoruba is a diverse race; there are lots of complexities. Even to receive a compound title, there are bound to be critics and opposition, but God just made this one to be rancour-free. We must thank our ancestors for making it so. This is a title that has a strong history and it is not for the lily-livered. I am the 15th Are Ona Kakanfo of Yorubaland. And if you recall, Are Ona Kakanfo has led Yoruba to many wars and saved the race from many wars. The only time we lost part of Yoruba territory was when the Fulanis killed Are Ona Kakanfo in 1824, that was when Afonja was killed, as a result of crisis between Alaafin Aole and Afonja, who did not get permission from Aole before attacking Iwere-Ile. In the custom and tradition of Yorubaland, you don’t attack Iwere-Ile; it is an abomination, but Afonja did and that was the beginning of their crisis and that crisis later caused Afonja his life in 1824. In 1835, there was no Are Ona Kakanfo to protect Yorubaland, so the Fulani came in and burnt Oyo Empire. That was the reason we have three Oyo now. The first was Oyo-Ile, then Oyo-Igboho, but they is now Ayo-Atiba, where Alaafin is now. If not that Latosa were installed, they would have taken Offa from us. But Are Ona Kakanfo Latosa led the local warriors to over run the invaders trying to take over Offa and Osogbo. The Ekiti-Ijesha war led to the treaty of 1886 and that was when Yoruba stopped internal war. But my own has a precedent of modern Are Ona Kakanfo. From the period of Akintola in 1965, you know he was not a warrior, but an astute politician and legal luminary and was installed based on his accomplishments for Yorubaland. Abiola was also not a warrior, but a great philanthropist, politician and businessman and he was installed in 1988. So, I am coming with my background as an activist and culture promoter. Each Are Ona Kakanfo has his uniqueness that can be a reference for approval from Alaafin. I would lead the Yoruba to fight invasion of our culture, tradition and value system by showing the world the beauty of our culture. You are known as an OPC leader, but now a culture ambassador. What is the link between activism and promotion of culture? There are linkages. Even as an activist, have we ever attacked any tribe or group without provocation? Even when OPC was founded in 1994, we started gaining popularity in 1998. Ask people if we ever waged war against any tribe without provocation. All we had done was to protect our people and our land. We have almost all nationalities in Africa residing in Yorubaland and non-Yoruba owns almost 40 per cent of businesses in Yorubaland. We never provoked or victimised them. In other lands, did Yoruba provoke other nationalities? Did you see any Yoruba man residing in the north rise up against the northerners or those in East? As an OPC leader, I can tell you that we never provoked any group or nationality. That is why I have many friends in the Niger Delta. I have a lot of friends of northern extraction. I am not a tribalist, but I am a person that believes in justice and I hate injustice. I will never, as Are Ona Kakanfo, allow any Yoruba to maltreat other nationalities residing in our region. It is against the will of God. If you want to maltreat others, what will happen to the Yoruba living in the United States, Ivory Coast, Ghana, etc? They are many Yoruba people in the Niger Delta, who are doing their businesses their without molestation. Why should we disturb others here? A good leader should be a peace maker in any society. I don’t know the tribe my children would marry from at the end of the day. I am not a tribalist, yet I believe in the cause of the Yoruba, because I know I must be a very good Yoruba to become a good Nigerian. But I detest injustice. Since I got letter of proclamation as Are Ona Kakanfo, many people from other ethnic nationalities have come to congratulate me. It surprised me when some youths from different states in the north came and gave me an award. The speech they read was so moving. So also the Igbo in Lagos came to pay me homage and congratulated me. 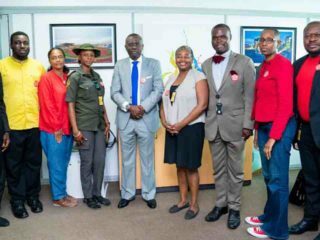 A delegation of over 70 came from the Niger Delta, matured men and women, including retired top military brass came here last week. In my house here, I have non-Yoruba working and living with me. Yes, I am a Yoruba leader, but I am not a tribalist. Yoruba people have been very accommodating. It is in our history; it is in our blood and that has become part of us. After your installation, what should be expected from you? My first primary assignment is to foster unity among our people. I have my strategy very close to my chest and I will read part of it in my speech. We have everything as a people, God has been kind to us, but the only thing is to be united for development. We shall have synergy with our people at home and our people in the Diaspora. Yoruba race is made up of about 260 million people scattered all over the world. We are about 60 million in Nigeria, 45 per cent of people in Benin Republic are Yoruba, 15 per cent of people in Togo are Yorubas, even in Ghana, we have our traces to Kumasi and have about eight million Yorubas in Côte d’ Ivoire, those that have left their homestead for over 200 years, we have them in Gambia, 18 per cent of Brazilians traced their ancestral home to Yorubaland. We have our people in Cuba, Trinidad and Tobago. Six out of eight blacks in America traced their root to Nigeria and specifically, Yorubaland. We have to encourage them to have a synergy that would help to develop Nigeria, because they are our brothers and sisters. There is a lot to benefit from them. This title would really assist me in my cultural evangelism. One of the major problems that have been impeding our development is our inability to distinguish between religion, culture and tradition. You cannot have peace if you run away from your tradition. There is no race that jettisoned its tradition that did not suffer for it. There is no race that considers its culture inferior that would ever be recognised, because that culture and tradition, which is their identity, would go into extinct. Your food, language, mode of dressing, in fact, the way we prostrate or kneel down to greet elders in Yorubaland speaks volume about who we are and promoting all these is part of liberation. The problem we have is that we are inching towards forgetting our roots because of religion, and I think it is time our Obas begin to take our tradition very seriously and stop confusing it with religion. I have gone for a three-day seclusion to become Are Ona Kankanfo and few months after, I now begin to shout that I am a born again Muslim. That is one of the major problems we have now. How should a monarch observed all the traditional rites to become an Oba, only to turn against those traditions and proclaiming to be born-again Christian or Muslim? That is a betrayal of trust of the staff of office given to you. As an Oba, you must be an Oba of all religion practised in your community, be it Christianity, Islam or traditional religion. You must be father of all. It is also time to appeal to our pastors and imams that when they preach, they should do so in our mother tongue and allow them to interpret it. It is very funny that we have accepted Arabic language as the only language to pray in Islam. We have to be smart with our language. I have a lot of people that bought suit for me, but I cannot wear it, because it would not portray my culture. I want people to come to Iseyin to buy Ilari and Aso Oke. I want them to come to Abeokuta to buy Adire. I want to turn Yoruba to a tourist hub. Do you know that the Lebanese have started producing Aso Oke? The Chinese have also been producing it and if we do not encourage our local producers, we may lose it to these foreigners. You have been noted to be spotting all white, is it spiritual or part of identity to promote culture? There is something missing in our culture now, which is called akosejaye. Within a period of six months after a child is born, Ifa divinity would be consulted to X-ray the future of that child, what the child must observe, the kind of food his/her guiding angel would like or dislike, his/her kind of clothing appearance, the kind of job, kind of wife or husband to marry, etc. But western civilisation has taken that from us. That is why many missed their mission in life and had wrong choices, because they were not spiritually guided. It is part of my destiny to be wearing white. I was told and I had to observe it. When I was first told in 1999 to be wearing only white, I didn’t take it serious and I paid for it until 2005 when I emptied my wardrobe and bought about 30 different white attires, including my undies, everything must be white. That is what my guiding angel wants and since then, I have been enjoying internal peace. After becoming Are Ona Kakanfo, do you plan to marry more wives? I don’t know what the future has for me as regards my destiny, but I prefer to have a wife. You can see my wedding ring. I don’t plan to marry again; I am content with my wife. If not for destiny, how would you expect Gani Adams to become Are Ona Kakanfo when we have over 200 billionaires in Yorubaland? Most people now don’t believe in destiny; they believe in their ability. But you must be spiritual. How are you coping with advances from your female admirers? There is no problem about that. We have been coping before becoming Are and we shall continue to be guided with what I think is best for me. As Are, would you accept a wife as a gift from some prominent people in society? I will not! I have the choice to either accept or reject a gift. Don’t give me a woman as a gift; I will not accept it.